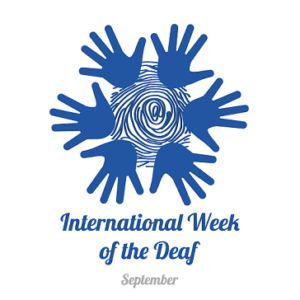 Global celebrations like International Week of the Deaf have a ripple effect when it comes to raising awareness. “Full Inclusion with Sign Language” is an important message, as those who are Deaf consider themselves to be a linguistic minority group, and they are very proud of their signed languages. Helping the hearing majority to recognize and appreciate the complexities signed languages can help bring the issues of reasonable accommodations and full inclusion to mainstream discussions. To celebrate International Week of the Deaf, I wanted to highlight 5 major civil rights issues that Deaf advocates are actively working to address. Because 9 out of 10 deaf babies are born to hearing parents with no connection to the d/Deaf community, the first few months of a deaf child’s life can be confusing— for both the parents and the developing child. This is a critical window of time for cognitive development. This is a time when babies are learning so much about the world, and they need a language with which they can begin to frame it. NAD has established a Language Deprivation Taskforce to address the issue conscientiously. Deaf-led organizations like LEAD-K and the Nyle DiMarco Foundation are working to fill the gaps when it comes to educating and raising awareness on a community level. 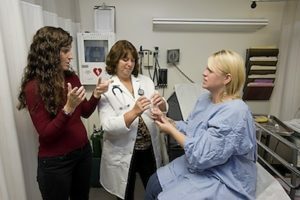 Dr. Peter Hauser, a Clinical Neuropsychologist and associate professor at the National Technical Institute for the Deaf (NTID) at the Rochester Institute of Technology, has given numerous lectures and conducts ongoing research that makes a strong case for giving deaf children access to signed language. He even wrote book along with his esteemed colleague Dr. Marc Marshark called “How Deaf Children Learn.” Further underlining support of early access to signed language, NTID offers a FAQ on their site about Educating Deaf Children with answers from international experts. 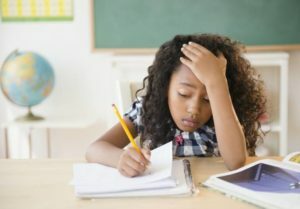 Piggybacking on the problems caused by delayed language acquisition, access to education is one of the biggest issues that the d/Deaf community seeks to address. So many young people who are deaf suffer, often without complaint, through years in an educational system that simply was not designed for them to succeed. Access to a curriculum that makes sense for their abilities can determine the course of a deaf student’s future. 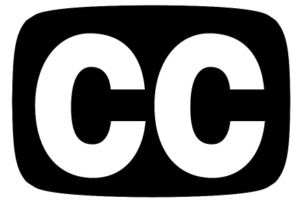 Schools need to be prepared to offer captioning and high quality interpreting services for students who are deaf, as needed, and these costs need to be built into the budget right from the start. 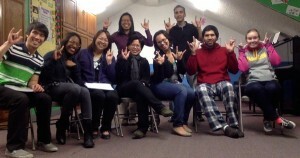 Deaf leadership is proving to be a strong cornerstone for the slow but steady push toward equal learning opportunities. Organizations like LEAD-K, with the simple goal of creating generations of Kindergarten-ready Deaf children, have been instrumental in enacting public policy reform that shines a light on the inequality faced by deaf children when it comes to education. This continues to be a long and uphill battle. Although the exact statistics can be a bit fuzzy, the indisputable fact remains: Unemployment is a problem that disproportionately impacts the d/Deaf community. 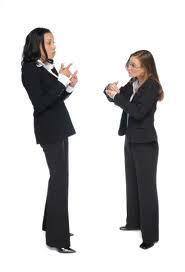 Deaf individuals are unemployed at a significantly higher rate than the hearing population. From the interview process onward, discriminatory attitudes create barriers to career success. Employers might be afraid to hire a person who is deaf because they don’t understand how to open lines of communications and integrate this person onto the team; they may overlook a perfectly qualified deaf candidate in favor of a less qualified hearing person. Once they have been hired, typically deaf individuals are given little support, encouragement, or room for career advancement. Without satisfactory employment opportunities, the cycle of oppression just continues ad infinitum. It never ends. Those who are d/Deaf deserve the same opportunities to build a life for themselves as everyone else, without being limited by a language barrier or limited by a lack of cultural awareness. Deaf activist groups have to advocate constantly for the basic human right to earn a livable income. In 2015, there was a march on Washington DC to raise awareness about deaf unemployment, and to demonstrate support for opening up better job opportunities. From initial encounters with police officers all the way to sentencing trials, the criminal justice system fails individuals who are deaf time and time again. For those who are unable to hear, dealing with police officers can be unnerving, it can be humiliating, and in some cases, it can be deadly. Interacting with authorities within the legal system who refuse to provide adequate accommodations can lead to misunderstandings that could mean the difference between a witness statement and a coerced confession. Deaf people get accused of noncompliance because they do not hear police orders, or they are deemed a threat for using their hands to communicate in ASL. These situations escalate so frequently, in fact, that the ACLU teamed up with Academy Award winning deaf actress Marlee Matlin to create a video designed to empower deaf individuals to advocate for their legal rights when interacting with law enforcement. 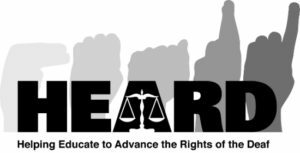 According to civil rights advocacy group Helping Educate to Advance the Rights of the Deaf (HEARD), “There are tens of thousands of deaf people in jails and prisons across the nation. Most departments of corrections do not track numbers or locations of deaf prisoners.” Lost within the prison system, some of these individuals slip through the cracks for years, sometimes their entire lives, serving sentences for crimes they may not have committed without ever having access to a fair trial or the kind of support they would need to build a defense case. Many d/Deaf prisoners can not even make phone calls due to woefully outdated telecommunications systems. Once they are in jail, deaf prisoners can easily be overlooked for medical or mental health care services, or they might be denied service because they are not able to communicate their needs effectively. Or even worse, these prisoners get taken advantage of and abused because they do not have the ability nor the resources to advocate for themselves from such a disempowered position. tep along the way, the entire system continues to uphold the oppression of marginalized people. If there is any lesson to be learned from the several highly publicized “fake interpreter” incidents over the past few years, it is that deaf individuals are provided inadequate sign language interpreters on a regular basis. If subpar interpreters are being assigned to interpret major televised events, do you suppose these interpreters are also being sent to doctors appointments and parent teacher conferences? Just turn on the local news with the closed captioning, you will quickly witness how live captioning can be almost hilariously inaccurate (or in the case of an emergency, dangerously inaccurate). And, as the “No More Craptions” campaign points out, accessibility for internet content is even worse. The bottom line here is that people who are deaf— when they actually do receive “access” to the communication services they need— are often still being denied an equal experience. With regards to interpreting services, unfortunately, some organizations just hire the cheapest interpreting agency they can find, and this agency might not even have anyone who is fluent in ASL screening the interpreters before they are sent out on assignment. These unqualified interpreters serve as yet another communication barrier for the deaf consumer, and they might even dramatically impact or endanger the person’s life. At the end of the day, effective communication is not being offered, which is a violation of the ADA. In 2004, RID and NAD implemented a joint Code of Professional Ethics for all members and certified interpreters. RID has established an interpreter certification program to to help maintain a high level of excellence, and the organization provides a support network for constant professional development. Although these efforts are slowly improving service for deaf consumers, they have sadly not prevented unqualified interpreters from getting work. Even now, in the year 2017, there are persistent barriers that people who are deaf must overcome to gain basic access to everyday goods and services. The Americans with Disabilities Act endeavors to protect the civil rights of all Americans, regardless of ability, by requiring businesses and organizations to offer “reasonable accommodations” that allow effective communication. For people who are d/Deaf, this could mean anything from captioning, texting, video relay services, or sign language interpreting services, dependent on the individual. At the same time, the d/Deaf community is becoming stronger and more cohesive than ever, connecting across countries, languages, religions, genders, races, and disabilities. As this happens, we begin to recognize where these discussions intersect and overlap with other systems of oppression, finding greater strength even still. Deaf issues have seeped into the mainstream consciousness and will continue to find footing in the ongoing public discourse on diversity, chipping away at the cultural ignorance that places a lifetime of limitations on a person just because of their hearing ability. So you’re interested in Deaf culture and want to connect with the larger community. Great! But how do you go about taking that first step? Everyone has been in a situation where they feel completely out of place. Maybe it was the first day in a new school or at a new job. These moments, as uncomfortable as they might seem, often provide us opportunities for personal growth. For hearing people, the thought of entering a Deaf space — a place where all conversations happen in American Sign Language— can be a little intimidating. Ultimately, however, stepping outside of ones’ comfort zone is a priceless experience that has the potential to open our minds to a whole new reality. If you are nervous or shy, just take it slow. A good first step is to get involved in an online community where Deaf people dictate the conversation. This is an excellent way to “get to know” people without feeling too much social pressure. 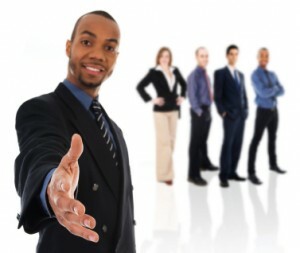 The way you connect with others will depend on your personal and professional interests. Try searching the #Deaf hashtag on Twitter, or find an active community on Facebook or LinkedIn. 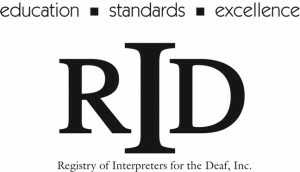 Follow the National Association of the Deaf (NAD), the Registry of Interpreters for the Deaf (RID), World Federation of the Deaf, Deaf Nation, and Deaf World as a place to get started. 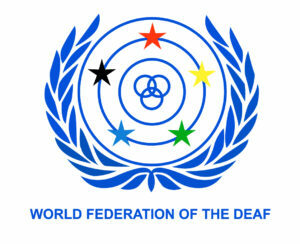 The internet has given deaf people a public voice like never before! From online discussions you can get a feel for the tones people use to communicate with each other, the types of things they find funny, and what issues they find important. Like and share content created by deaf individuals to amplify their voices, and don’t be afraid to follow new people and jump in on discussions if you have something to contribute. Help bring attention to issues that are “hot topics” or in need of support. Pay attention to what is being discussed, what rumors are going around, and what events are coming up in your area. 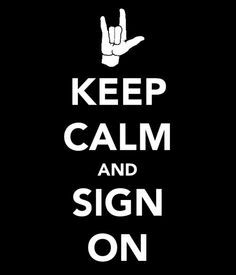 Be sure to add some Deaf-created content to your RSS Feed or Blogroll to get educated while exploring the many dimensions of Deaf culture. Follow news and views from d/Deaf/ HoH activist Rikki Poytner, watch the hilarious “Don’t Shoot the Messenger,” or explore any number of other YouTube channels for videos that help bridge the culture gap. “Fridays” is a new ASL web series about two deaf best friends just trying to figure out life and relationships, it’s written and produced by Shoshannah Stern and Josh Feldman. For cute and totally relevant comics about Deaf and CODA life, follow “That Deaf Guy” Matt Daigle. Getting involved with the online community will make it easier to take the next step, which is to get out and meet new people! Some people find that using Meetup, a site and mobile app that allows users to form groups and arrange meetings, offers a comfortable transition between online discussion and in-person engagement. Look for a Meetup group in your area and, if there isn’t one, create a group! You never know, there might be other likeminded individuals who are looking for the exact same thing. If meeting people off the internet isn’t up your alley, there are plenty of other options to connect with the Deaf community. Try Google searching for a Deaf coffee chat or Deaf club in your city. If you live near Rochester, NY, check out the National Technical Institute of the Deaf (NTID) campus. Or, if you live near Washington, DC, look for events at Gallaudet University. Don’t be afraid to reach out to local deaf organizations or the local interpreter training program for more information, you will find that most people are happy to help. Attending Deaf Expos is an awesome way to meet new people and immerse yourself to an environment where ASL is the primary language. These expos are growing in popularity, making their way from major cities to more regional venues. Learn about all the services, events, and cool things happening within the Deaf community. Another option is to find out if there is an ASL Slam or Deaf cultural events coming up nearby. Maybe there’s a monthly Deaf coffee meetup, or another type of casual social meeting that is open to the public. There are deaf-owned and operated restaurants popping up in major North American cities, such as Mozzeria in San Francisco, Signs in Toronto, and DeaFined in Vancouver where you communicate with mostly deaf waitstaff. Remember that it’s perfectly natural to be nervous the first time you do something, but that should never prevent you from seizing the opportunity to expand your horizons. 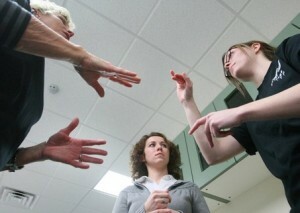 If you are training to be an ASL interpreter, sign up with your local RID chapter. It helps to not only be connected with the Deaf community, but also to participate in the Interpreting community. Learn about upcoming workshops and events. Meet other interpreters from all backgrounds, expertise, and experience levels. If anyone understands how scary it can be to push yourself outside your comfort zone, it’s others who work in this field. 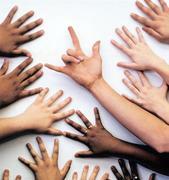 If you want to get involved with the Deaf community, there is no reason not to. Deaf people spend their lives marginalized by the hearing majority culture, so taking the initiative to form a connection is generally appreciated. Start by practicing your ASL and learning about the different methods of deaf-hearing communication, which will lessen any anxiety about engaging new people. Educate yourself on Deaf issues, understand what it means to be an ally, and attend an upcoming event in your area. Then just find a friendly face in the room, and strike up a conversation! If you are in an interpreter training program and looking for ways to get involved with the Deaf community, consider mentoring through LC Interpreting Services. Our mentorship programs are individually designed to offer exactly what you need to feel confident as an intepreter, from strengthening skills to providing guidance, and everything in between!